But why is private property not allowed to leave the country, even if it is a Cezanne? We find this all most odd: An important Cézanne landscape view of the Mediterranean, which has been on public view in Cambridge for nearly 30 years, is in danger of leaving the UK unless more than £13.5m can be raised. 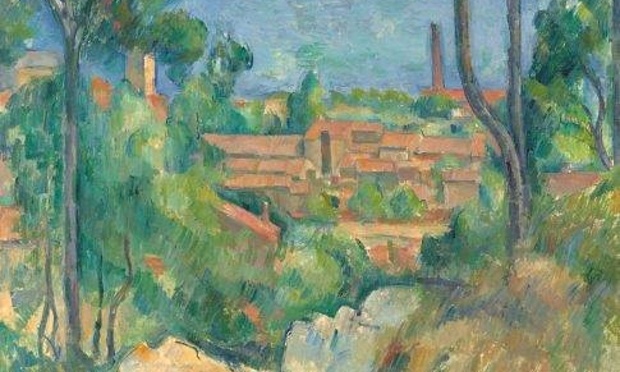 The British government on Monday placed a temporary export bar on Cézanne’s Vue sur L’Estaque et le Château d’If. Purchased by the industrialist Samuel Courtauld in 1936 and passed down through his family, it was on long-term loan to the Fitzwilliam Museum from 1985 until last year when a decision was taken to sell it. What justification is there for whoever owns this painting now not being allowed to take their private property where they wish? Provenance Ambroise Vollard, Paris, by whom acquired directly from the artist. Baron Denys Cochin, Paris, by 1904. Galerie Durand-Ruel, Paris, by whom acquired on 12 May 1905. Paul Cassirer, Berlin, by whom acquired on 21 September 1905. Galerie Bernheim-Jeune, Paris, and Jos Hessel, Paris, by whom acquired on 2 April 1909. Jos Hessel, Paris, by whom acquired on 12 July 1910. Galerie Bernheim-Jeune, Paris, by whom acquired on 12 October 1912. Walther Halvorsen, Oslo, by whom acquired on 21 April 1915. Erich Goeritz, Luxembourg, by 1936. Galerie Thannhauser, Lucerne, by whom acquired from the above on 9 July 1936. Wildenstein Galleries, Paris & London, by whom acquired from the above on 11 July 1936. Samuel Courtauld, London, by whom acquired from the above in November 1936, and thence by succession to the current owners. What is there in all that which justifies the full majesty of the law being applied to keeping it in the UK? Our general reading of such export bans is that they are a scam perpetrated upon the general public. Some small number of influential people rather like looking at the occasional French painting. But they'd prefer not to have to pay for their pleasures. Thus they manipulate the law so as to insist that their desires are catered to. It's time for us to change this system: ban export bans now!